As we enter a new year, it can be useful to keep an eye on what 2019 has in store for us in terms of manufacturing technology, Enterprise Resource Planning (ERP) software to be exact. The manufacturing industry is always changing, and with it, the technology that makes everyday operations possible. As ERP technology is in constant flux, it always helps to have your finger on the pulse of the industry. Here at Solutions Review, we do our best to provide IT professionals with the top ERP technology best practices, resources, news and buyer’s guides, but sometimes you need a little extra push, the kind you can only get in person. We understand, and that’s why we’ve created this list of the top ERP conferences and events for 2019. If you’re looking for top-notch speakers, vendor demos, and networking opportunities, then these should be on your calendar, check them out below. Events are listed in chronological order. Description: Join us at Acumatica Summit 2019 to experience how Acumatica, the fastest-growing Cloud ERP provider, is empowering small and mid-sized companies to accelerate their business with modern enterprise software in the Cloud. The Summit will give you an opportunity to experience the Acumatica platform, network with peers in your industry, and speak with the Acumatica Partners on their incredible solutions to business problems. Description: EXPO MANUFACTURA 2019 is the most important international forum, connecting the influential community in the manufacturing sector featuring: machinery/forming technologies, material alliance, laser application, micro and nano – technologies, robotics, mechatronics, control and instrumentation, quality control systems, precision engineering systems, sustainable manufacturing systems and additive manufacturing. Description: Global Shop Solutions User Conference takes your manufacturing from good to great during this 3-day, face-to-face ERP experience. Description: The Distribution Management Conference (DMC) and Expo is HDA’s largest supply chain education event, attended by more than 600 manufacturers, distributors, consultants and third parties who keep the pharmaceutical distribution industry moving.The conference immerses attendees in topics related to the healthcare supply chain, and provides a forum to engage in operational and strategic discussions. Description: The Lumenia ERP HEADtoHEAD event offers a unique opportunity to meet, compare and experience the leading ERP vendors and their products. If you are planning to select, upgrade or replace your ERP system, then the ERP HEADtoHEAD event is for you. 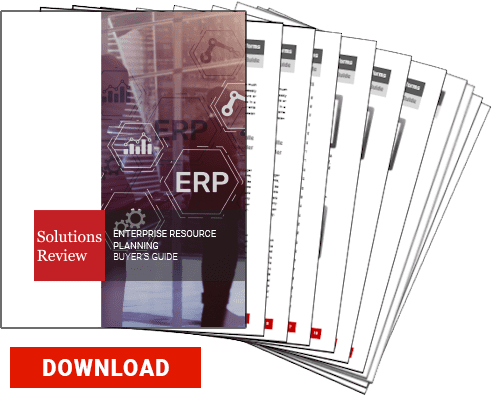 It is the perfect opportunity for senior finance or IT executives and members of their ERP selection teams to efficiently review and compare the leading ERP products. There will be lots of opportunities for delegates to meet with vendors within the expo area and to network and compare experiences with other organisations also planning to implement ERP. Description: The best use of emerging technologies such as artificial intelligence, blockchain, and the Internet of Things is to automate mundane, non-value-added tasks and give your people the time they need to find creative solutions to your biggest challenges and perfect your enterprise experience. Learn how to remove the time constraints your people face every day; unleash their ingenuity and creative potential; and succeed in the experience economy. And ultimately discover what your enterprise could look like when it’s limitless. Attendees will enjoy inspiring keynotes, visionary speakers, content-rich educational sessions, hands-on workshops, product expert discussions, and entertaining networking activities. Description: Oracle NetSuite SuiteWorld, the industry’s #1 Cloud ERP event of the year, is returning to Las Vegas. Get ready for three days packed full of actionable insights that will help you grow your business’s bottom line immediately. Hear from peers, product experts and partners about the latest NetSuite features and tools, and network with the NetSuite community. Come to the conference to learn, explore, and connect, and leave inspired to grow beyond your expectations. SuiteWorld19 is the place to grow beyond your current skill set. Hear how customers are implementing NetSuite solutions to be the best in industry, fuel your mind with new ideas from your peers, and network with experts and partners so you and your business can grow smarter, faster. Description: Discover the latest solutions to move your business forward as the industry’s leading innovators showcase their latest manufacturing, distribution and supply chain equipment and systems at ProMat 2019. ProMat is where manufacturing and supply chain professionals come to to find their supply chain WOW – that trend or technology that will take their supply chain to the next level of success. This is the one show where you will see in person, in action the best solutions and innovations the industry has to offer and meet the leading providers face-to-face. There is no cost to attend the exhibits and conference sessions. Description: Learn about your specific Epicor solution, network with your peers, and enjoy the core benefits of a global customer conference. Gain valuable insight on how to utilize your Epicor solution to grow your business, your employees, and your bottom line. We hope you’ll join us—and your peers—in Las Vegas! Customers who attend will have dedicated education tracks focused on their specific products and solutions, and more opportunities to network across products and industries. Description: VSO for ERP is the nation’s leading ERP software evaluation, comparison and selection event. Geared toward ERP selection teams and decision makers for companies with manufacturing and/or distribution requirements, this premier event is ideal for businesses who are budgeting for or are currently evaluating an ERP software upgrade or replacement. The goal and focus of the even is to provide an impartial platform to compare top ERP Tier I and Tier II solutions, bring objectivity and transparency to the enterprise software selection process, reduce the cost, risk, and duration of enterprise software selection projects, and foster networking among peers across multiple industries including manufacturing, construction & engineering, distribution, retail and more. Description: The lines between the physical and digital worlds are becoming increasingly blurred. Traditional markets are being redefined, customer expectations are constantly evolving and the very way daily tasks are conducted are being rapidly transformed. Supply chains must now focus on effectively converging their foundational capabilities, with new and emerging digital strategies in order to not only compete, but also prosper and grow in this bold new era.. Gartner Supply Chain Executive Conference will demonstrate how supply chains leaders will blend the lessons of the past with their aspirations for the future to deliver sustainable commercial success. Description: EASTEC 2019, the leading Northeast manufacturing trade show, will be held May 14-16, 2019 at the Eastern States Exposition in West Springfield, Massachusetts and is produced by SME and AMT. More than 12,000 manufacturing professionals attended EASTEC, exploring manufacturing equipment and technology from more than 726 exhibiting companies. Description: It’s a new world for technology providers, and the role of the Product Leader is drastically changing in a digital business. Markets are changing. Business models are evolving. And risk is increasing. The good news? Providers can exploit the energy of the digital storm to their advantage. Our event provides three days of vendor-exclusive Gartner research, dialogue and problem solving to show you how. Gain on-the-ground insight into market segments, competitors and customers based on forward-thinking Gartner research and peer exchanges. Description: Design & Manufacturing Canada presents the latest advances in manufacturing. It shows all developments, products, and services affecting industrial technology including computer-aided design and manufacturing, rapid prototyping, engineering, components, production and automation machinery, lasers, motors and drives, packaging, materials handling, electronics, quality systems, networking, enterprise IT, and a full range of contract services. Visitors can find the best resources to meet their needs, learn from the experts at the industry’s leading technical conference and explore potential alliances, partnerships and joint ventures. Description: For more than 30 years, the CMTS audience from within Canada’s leading industries including automotive and aerospace have come together to source solutions and knowledge from the global leaders in machine tools and tooling, metalworking, and advanced manufacturing. Our national event offers a diverse mix of live technology on display, with unrivaled keynotes, panel discussions and technical sessions. CMTS includes several signature networking events where the industry comes together to connect, share and celebrate manufacturing. Description: IFS World Conference 2019 is a meeting place for business people who know that standing still means falling behind. In Boston we’ll unite more challenges than ever before at the industry’s most customer-focused event. Every session will center on customer stories and information from enterprises that have challenged the status quo. These will add value to your business, empowering you to achieve your potential and realize your competitive advantage—now and in the future. Description: Microsoft Dynamics Summit 2019 or User Group Summit delivers the can’t-miss annual conference for users of the Microsoft Business Applications platform – Dynamics 365, AX, CRM, GP, NAV, and SL. With credible peer-to-peer knowledge exchange at its core, this event provides focused learning and networking as users gain instrumental solutions for their everyday system challenges and larger organizational goals. In every industry and across the globe, Summit is well known as a premier user-centric experience. Description: If you provide products and/or services to the foodservice and convenience distribution industries, this is the one conference of the year to meet with executives who have purchasing authority for forklifts, transportation assets, other hardware, technology, and services supporting distribution center and transportation operations. This is key opportunity to develop new business relationships, grow your business, and strengthen relationships with some of your most valued customers. The Distribution Solutions Conference provides in-depth education as well as 9.5 hours of dedicated exposition time.